Custom Truck One Source (Custom Truck) was featured this morning on an episode of NewsWatch, a weekly, nationally televised morning hour program on the AMC Network. Kansas City, MO, February 25, 2019 --(PR.com)-- Custom Truck One Source (Custom Truck) and its wholly-owned subsidiary Load King were featured this morning on an episode of NewsWatch, a nationally televised morning hour program presented weekly on the AMC Network. Custom Truck’s unique, single-source equipment offerings and Load King’s recent expansion of its manufacturing portfolio made the companies an easy fit for the consumer-oriented television program. The segment featured footage of Custom Truck’s vast Kansas City headquarters and an interview with Fred Ross, Custom Truck’s chief executive officer. While Fred’s commentary touched on several important industry aspects of today and tomorrow, he focused more specifically on how Custom Truck and Load King deliver on their shared commitment to being American brands. Domestic manufacturing, in-house upfits, expanded American employment, and the assembly of products specifically designed to maintain our country’s infrastructure are among the companies’ many initiatives to remain true American brands. The episode aired on February 25th, 2019, on the 6:00AM CDT NewsWatch segment on the AMC Network, and will run on future airings of the show. The spotlight is also available on the Custom Truck and Load King websites, social media profiles, and Youtube channel. Custom Truck One Source is the first true single-source provider of specialized truck and heavy equipment solutions. With sales, rentals, aftermarket parts and service, equipment customization, remanufacturing, financing solutions, and asset disposal, our team of experts, vast equipment breadth and integrated network of locations across North America offer superior service and unmatched efficiency for our customers. Dig in at www.customtruck.com and keep up with us on Facebook and Twitter. NewsWatch is a weekly 30-minute consumer-oriented television show that airs on the AMC Network. 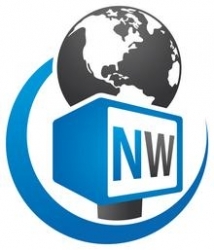 NewsWatch regularly features innovate businesses from around the world, top technology products and services, mobile applications for iOS, Android, and Windows devices, health and medical tips, and entertainment interviews on the show. NewsWatch airs on the AMC Network from 7:00-7:30am ET/PT. NewsWatch is located in the greater Washington, DC area and has been on air for over 25 years. For more information or to watch the most recent episode, visit https://newswatchtv.com/.